Those that believe the status quo with Taiwan can go on indefinitely are being far too complacent, argues Daniel Lynch. The delegation leader laughed and pointed out that China has said time and again that it’s inevitable China and Taiwan will be unified. ‘It could happen in the 2020s or even sooner,’ he replied. Why stress this exchange? Because many people still believe that expanding cross-strait exchanges (economic, social, and cultural) will create groups in the two societies that are determined to push their respective governments toward moderation.Their argument is that eventually this will result in peaceful coexistence, because interdependence naturally promotes peace. This argument was frequently made inthe 1990s and 2000s, when many commentators criticized Taiwanese Presidents Lee Teng-hui and Chen Shui-bian for ‘pushing the envelope’ and ‘trying to change the status quo’ through provocation. If only Taiwan would stop being a troublemaker, the argument ran, then China would calm down and eventually accept Taiwan’s de facto independent status. Embrace the one China principle and Beijing might even be willing to sign a formal peace agreement with Taipei. Given such a posture, the choice facing Taiwan is indeed simple and clear-cut. It can ‘necessarily move toward unification’ by abandoning resistance or eventually face a military attack. The thickening of cross-strait interactions through trade, investment, travel and study does nothing to affect this basic situation because integration can’t change the Chinese state’s identity. By similar logic, it seems exceedingly unlikely that the upcoming leadership change in China will affect the regime’s core identity. The new leaders may choose different tactics in dealing with Taiwan, but there’s absolutely zero evidence to suggest the kind of identity-change that would be necessary for increasing cross-strait interdependence to work its purported wonders. This doesn’t, however, mean that pursuing interdependence is inherently a bad idea, or that President Ma Ying-jeou’s policy of avoiding verbal provocations is mistaken. The fact is that Taiwan can only stall for time and hope that fundamental identity change will eventually come to China, while at the same time appeasing the CCP on the plane of rhetoric. The odds of an identity change seem low—if anything, China has become increasingly assertive within the past year. Prepare to accept eventual annexation while manoeuvring to bargain for better terms. Galvanize society to mobilize politically and militarily to resist Chinese pressures—fighting ferociously, if it comes to that; in other words, become something like Israel. Stall for time and hope for the best. Neither option 1 nor option 2 seems politically plausible for Taiwan, so the only reasonable course is option 3. This is generally Ma’s strategy, but the ruling KMT has oversold it by promising—in line with the predictions from international relations theory concerning interdependence—that the strategy can lead (possibly soon) to a peace treaty of some sort and formal peaceful coexistence. Lofty promises are inherent to democratic politics: all politicians oversell their policies, in all democratic countries. The problem in this case is that many people seem genuinely to believe that interdependence will inevitably lead to cross-Strait peace. This suggests that if current trends continue, at some point in the not-too-distant future Taiwan and its friends in the region and beyond will face a crisis of disillusion. They will realize—perhaps quite suddenly—that things aren’t working out as advertised: that the Communist Party is a very different sort of character from the ‘rational actor’of IR theory that could be neutralized through interdependence. Of course, in absolute terms, many people in Taiwan and elsewhere already suspect the strategy won’t work. But many others—perhaps most—trust that integration and appeasement are effective, and that things have never been better across the Strait. This is certainly the impression given by many Western news media accounts. If and when it finally becomes obvious to all that the strategy has failed, because the CCP intends fully to annex, the crisis of disillusion will erupt. Unfortunately, there’s no easy solution to this conundrum. In a perfect world, Taiwan’s president—whether President Ma or his successors—would explain more candidly to the Taiwan public that ‘frankly, this may not work, but it’s essentially the only option we have.’ In a perfect world, US political leaders would make the same sort of admission to the American public. They would then all develop a ‘Plan B’ in casefailure occurs—not just a military Plan B, but also a political Plan B. Perhaps there are already secret discussions concerning such matters. But it seems unlikely. A stalling strategy could still allow enough time for fundamental change.This might happen as younger, more internationalized elites succeed to power in China: generational change. But if this is going to work, then Taiwan and its foreign friends must find ways to extend the time, to allow this low-probability event to occur. Some potential Taiwan policies could anger the CCP and prompt it to act sooner—even hardening the nationalistic identity. These would be unwise. But so, on the other hand, would policies that increase Chinese leverage in Taiwan: that increase dependence in the name of interdependence. 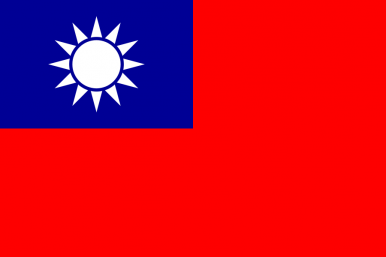 Policies that muddy the distinctiveness of Taiwan’s own identity would also seem unwise because they would reduce the society’s ability to resist. Clearly, it will take exceptional leadership in Taiwan to navigate these waters in the years ahead—to implement the stalling strategy successfully while keeping the United States on board. Fortunately, Taiwan is a society full of creative and intelligent people, so there is some room for hope. But everyone should be clear-eyed about the long odds. Daniel Lynch is a professor of international relations at the University of Southern California and a member of USC’s US-China Institute. This article is adapted from a talk he gave in December at the Institute for National Policy Research in Taipei. There's more to democracy than a choice between the 'Beijing Consensus' and the West. China should look at Indonesia.